I'll trade you Ryan Howard for ... Pope Francis? 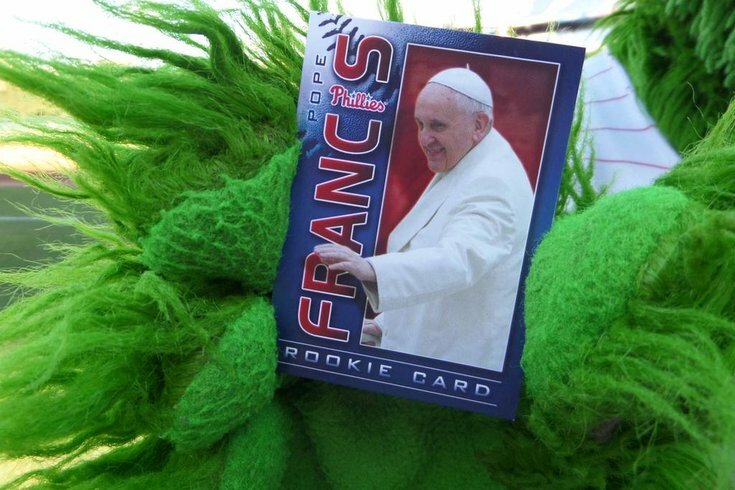 The Phillies are giving away commemorative Pope Francis rookie trading cards during Wednesday night's game at Citizens Bank Park. Fans may pick up cards at the first base and third base kiosks. The front of the card features a picture of Pope Francis and the back of the card lists his "statistics," including his date and place of birth. The Phillies take on the Nationals at 7:05 p.m.